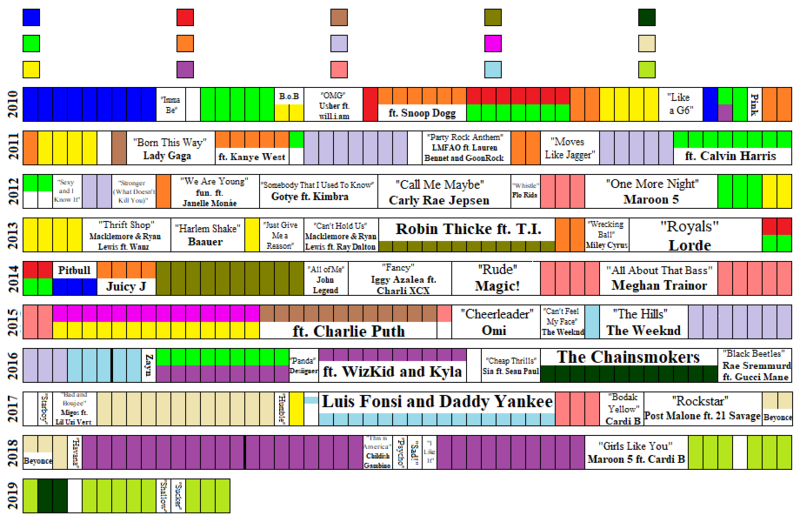 Can you deduce the colour representing each of the given artists on this timeline of the Billboard Hot 100 number one song? The individually-coloured cells each represent one week's #1 single. They are listed in chronological order, with January on the left and December on the right, and each strip represents a full year of #1 hits. To pick an answer, click the correctly coloured square at the top of the image. 2019 will continue to be added occasionally throughout the year.